Have an extra $29.99 laying around? Then buy yourself a snazzy new Droid 2 dummy phone today! Courtesy of Cellular Nationwide Network, you can pick one up today and have it in no time. While this is a fake phone, we do get a couple of details which we are hoping do not make it to the sales floor. 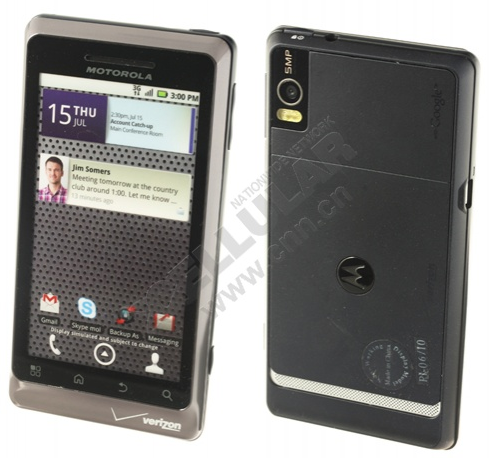 The first is the new MotoBlur which is featured on the Droid X. Sure, the skin isn’t as overwhelming as previous versions, but there is something refreshing about a phone with stock Android on it. The second thing is the preloaded apps (like Skype) which are making any new Verizon Android phone seem like the second coming of Windows Me. And if you really want to buy one for some odd reason like I just did, head over to this site.